Through the rituals around death, cultures promote the collective processing of loss. Brian Hougard, anthropology aficionado, will describe how different cultures provide humans - in the singular and the collective - the means for dealing with death and elaborate on death rituals from several cultures, including ancient mummification, the Day of the Dead Festival in the Americas, and modern- day hospice care. 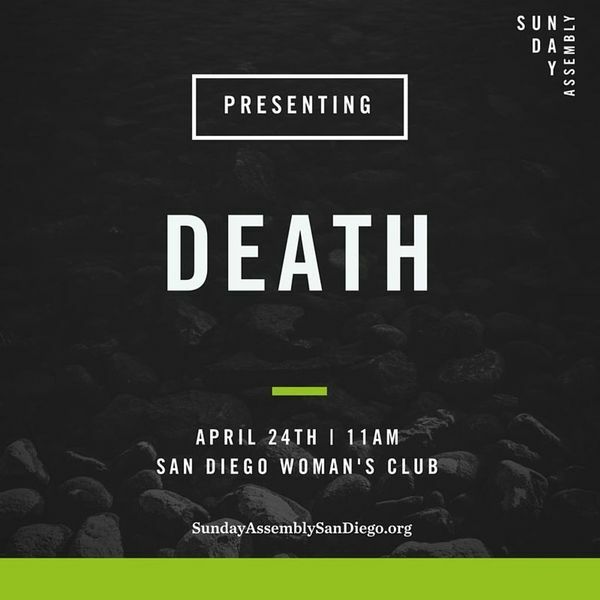 Sunday Assembly San Diego is a new radically inclusive secular community that meets monthly to hear inspirational talks, connect for service projects, sing songs and generally celebrate life. Assemblies are free to attend, and everyone is welcome.